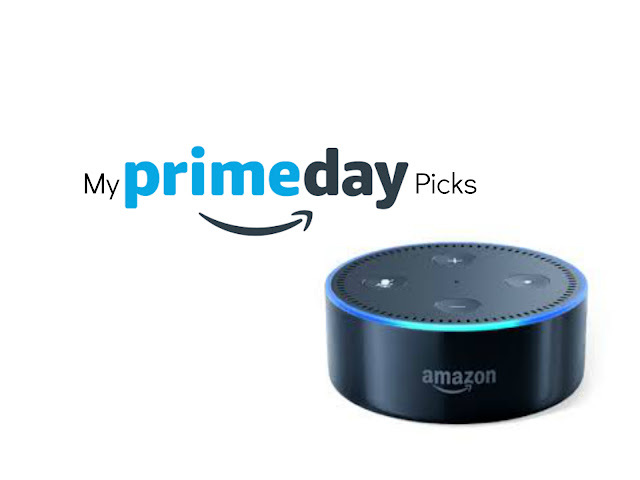 Disclosure: Most of the links in this "My Prime Day Picks" post are Amazon affiliate links, and as an Amazon Affiliate, I earn a percentage from qualifying purchases, but that comes at no cost to you. In the mists of the Nordstrom Sale madness, which is breaking the internet, it should be mentioned there is another fantastic day of sales: the annual Amazon Prime Day! Prime Day starts today, July 16 at 3:00 PM EST. For Prime members, there are TONS of excellent deals. So move that mouse and get ready to click your way toward savings. For the planners, think ahead to Christmas gifts. For the readers now's the time to grab a couple books or even try Audible (audio books) or Kindle Unlimited at a reduced rate. For those with busy schedules, why not try Amazon Fresh, a grocery-shopping service, with the FREE 30-day trial? And for the music lovers snag a new Amazon echo with the Amazon Music Unlimited Subscription Free Trial. Before I jump into my Prime Day picks, there's still plenty of time to become a Prime Member and get in on all these great deals. Just sign up here. My #1 suggestion is for the readers. I read EVERY. SINGLE. NIGHT. before I go to bed. If I had to keep my bedside lamp on while reading each night, it would drive my husband crazy. So one of the secrets to my happy marriage is my Kindle Paper White. It has a built-in adjustable light so I can read even when the lights are out. It's also perfect for reading outside (think trips to the pool or beach) because the backlight is subtle and it automatically adjusts to the ambient lighting in your surrounding environment. Along the same lines, both of my children have their own Kindle Fires. I know, I know screen time, blah blah, blah. But hear me out, I need to think about my sanity on occasion and the only time they stop talking and moving is when they are playing their Kindles. Plus, they are PERFECT for traveling. We use the FreeTime Unlimited App which is all child-appropriate apps, books, and games. This helps me feel confident as a parent in the content and quality of the things they are watching and playing without feeling the need to stand over their shoulders watching each swipe they make. Hint, these would make an amazing birthday and Christmas presents. So now you know one of my best-kept secrets to a good marriage and how I keep some of my sanity. Since we're already talking about kids, these magnetic Picazzo Tiles are favorites at my house. Think Legos, but far less painful on your feet, which is a parenting win. The edges of each piece have magnets so kids can create three-dimensional structures. I have to admit even my husband and I have been known to sit on the floor and play with these without the kids around. They come in a box with a handle for safe storage and easy transport. In fact, we took them to the beach as a backup plan in case of rainy days. As a busy mom I hardly ever have time to do my hair. When I do I want to make sure I can keep the style as long as possible - and I mean as many days as possible. One trick to keeping my curls in tack overnight or my straight hair from looking like a hot mess in the morning, is I put my hair in a high ponytail each night with these invisibobble Original Traceless Hair Rings. They don't crease your hair so it always looks well-styled. At a price point of less than $10, these are a fun way to take advantage of Prime Day if you don't want to splurge. Okay, I hate to admit this, but my youngest is still in diapers. Please send potty training tips my way, because he is just not interested and he's almost 3! Anyway, Amazon Family saves us 20% on diaper subscriptions, and instead of hauling those huge boxes from the grocery store to my car and then into the house every couple days, I just have them delivered to my doorstep. If you are a new parent jump on this one fast because Amazon is offering a 30-day free trial of Amazon Family for Prime Day and you won't regret the extra savings. And finally, I mean this list really could go on forever, one of the items I'm hoping to snag today is the Amazon Echo Dot. Amazon is running an incredible Deal of the Day and it only costs $29.99. It is normally $49.99! Seriously this is the one you should grab and save for Christmas. It will fit perfectly into a stocking or be a wonderful kitchen companion as it plays Michael Buble Christmas songs while you bake cookies. What are some of your favorite Amazon items, subscriptions and deals you'll be shopping for today? Disclosure: Some of the links in this "A Visit to the Southeastern Railway Museum" post are Amazon affiliate links, and as an Amazon Associate, I earn from qualifying purchases, but that comes at no cost to you. Summer has descended upon us, and its presence can mean only one thing: I need to start getting creative with our weekday adventures. Staying at home all week is just not an option if I want to keep our house in any sort of semi-clean, functional state or if I want to retain my sanity. 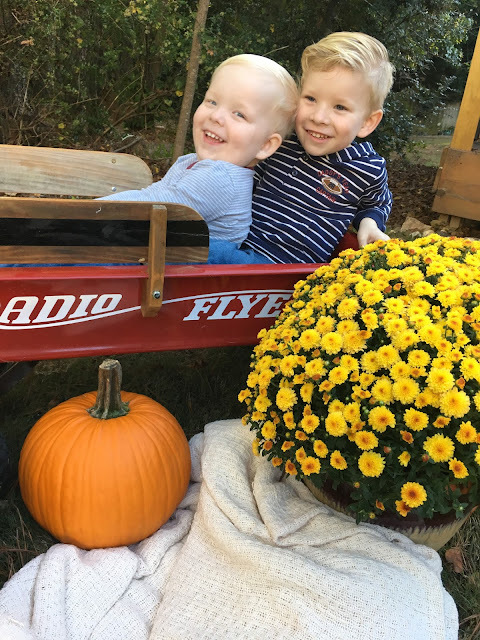 My two boys are full of boundless energy and excursions help break up the monotony of the week, and they also offer a bit of reprieve for me because when we return and they (usually) sit quietly for a couple hours recovering from the excitement. Needless to say, I've made a list of places to visit, and we started checking them off one at a time. 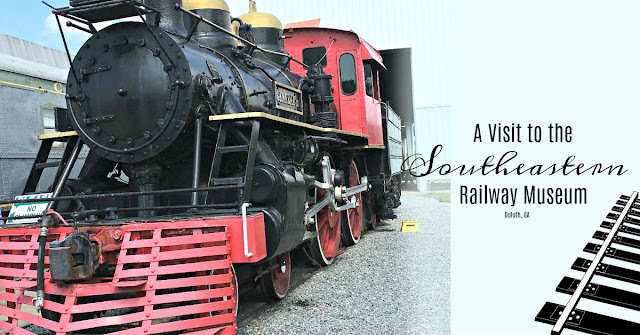 To kick summer off, we stayed close to home when we visited the acclaimed Southeastern Railway Museum. Located in Duluth, Georgia it features old trains, taxis, buses, firetrucks, and cars. 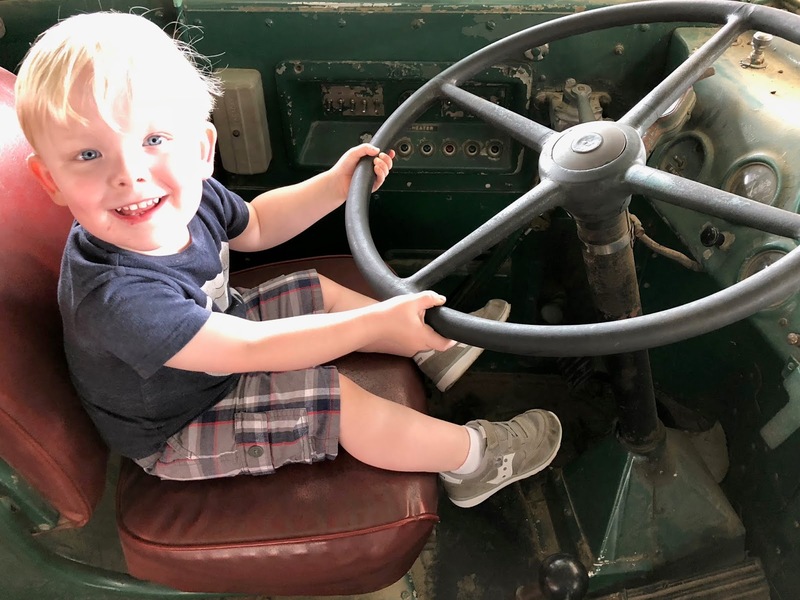 For two young boys infatuated with vehicles and transportation, it was nothing short of sheer bliss. This was our second visit to the museum. My youngest, however, has no memory of his first time there. His lack of recollection made it fun to explore everything with the excitement of fresh, youthful eyes. My oldest, on the other hand, had a mental checklist of exhibits he wanted to visit and things he wanted to do. On the top of his priority list was, of course, a train ride. For a little context, the Southeastern Railway Museum doesn't look like much when you first pull up to its entrance. You'll pass a beautifully resorted depot with a miniature city and tracks, but the museum itself is housed in a big warehouse with old trains lined up outside, many under the protective covering of an oversized pavilion. Initially, you will approach a tiny, wooden structure for tickets. Ticket prices range depending on age. Adults are $10, and children ages 2-12 are $7. If you want to add on a short train ride on the large historic train, which I recommend, it's an additional $3 per person. 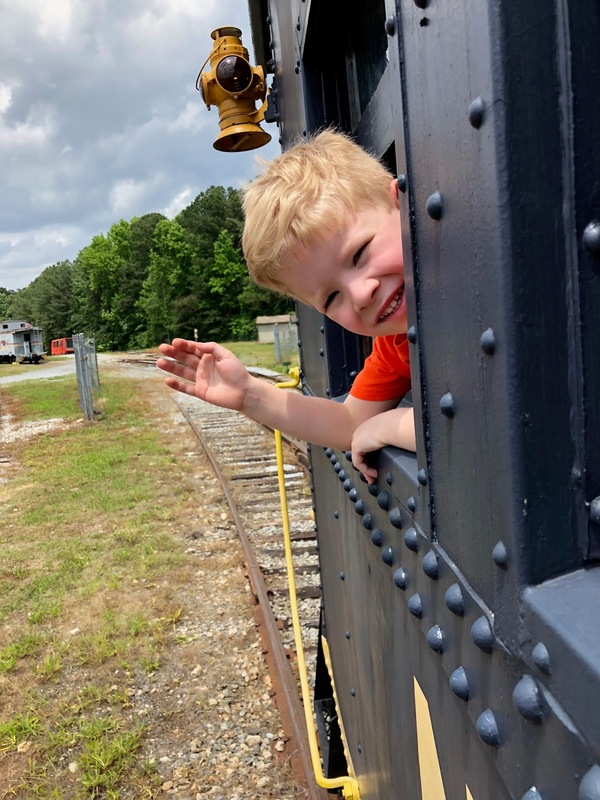 Miniature train rides are another $3 per person, or you can ride each train one time for a discounted price of $5 per person. 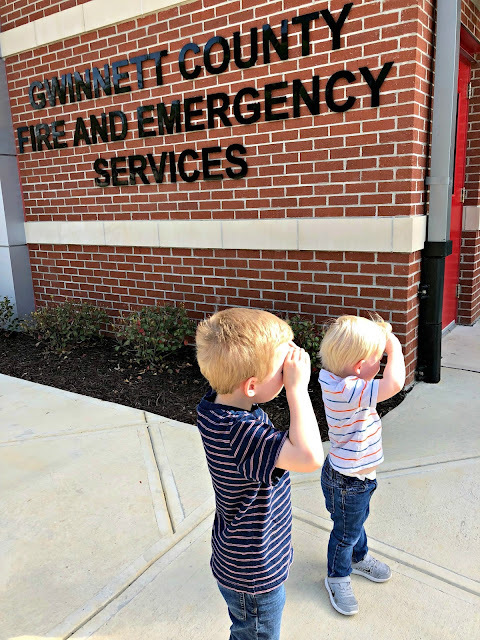 Pro Tip: If you want to save on ticket prices, you can visit the Gwinnett Public Library and check out a one week pass for free admission for a family of four. Please note, the free pass does not include train ride passes. 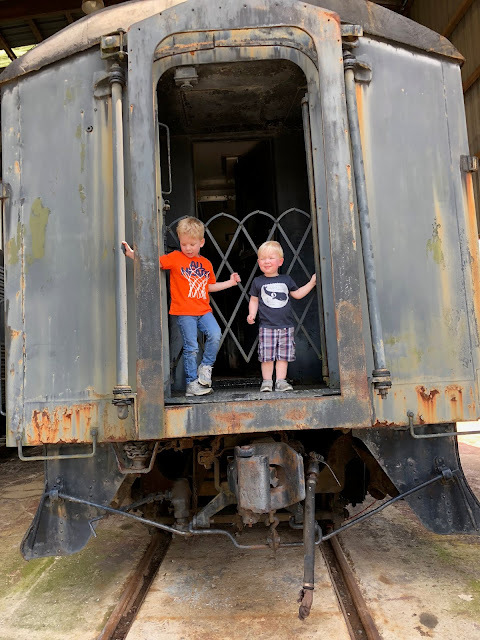 If you are planning a visit to the Southeastern Railway Museum you should know ahead of time there is quite a bit of walking and some climbing to get up and into the old trains. My two-year-old was able to do most of the climbing, but I did need to lift him up and down several times. If you are up for the physical challenge, then history awaits. You can walk through the stagnant corridors of old United States Postal Service delivery car, through passenger cabins which were used on cross-country transit rides in the 1920's and 30's, and kitchen cars where meals were prepared for passengers who developed an appetite on their long journies. You explore the museum at your own pace, so you can take time on the exhibits which interest you most, and quickly pass by others. Inside the museum, there are plenty of plaques with explanations about the exhibits, but when you walk through the vehicles outside you need to rely on a printed pamphlet for historical context. The museum really offers a hands-on experience for visitors of all ages. 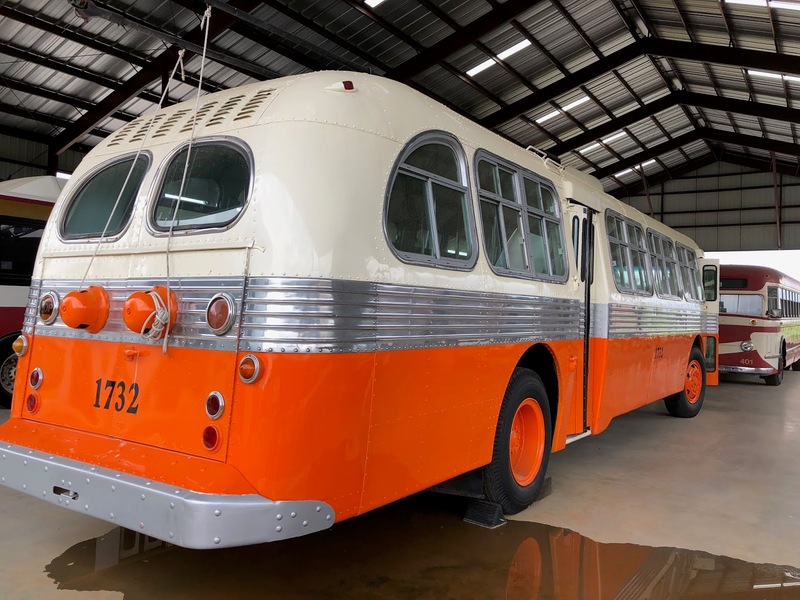 You can get behind the wheel of an old bus, or sit in the seats of a sky-high double-decker train car to immerse yourself in the history. Also, there is a small movie theater where you can watch more about the origins of the trains and other vehicles. There is no air conditioning, and during the summer in Georgia, that can be a huge problem. Make sure to pack and plan accordingly, so you stay cool and plan to take water breaks throughout your visit. We used this handheld fan and cooling towel to ensure we stayed extra cool. Most of the museum is under the cover of trains. You walk from one train car to the next. However, it's not very conducive to rain-day adventuring unless getting dirty is part of the plan. The museum would make an incredible backdrop for family pictures, engagement sessions, blogger fashion spreads, or still artistic photography. There is a gift shop inside the museum with cold refreshments, snacks, and lots of train inspired paraphernalia. Overall, my kids loved the museum, and we will undoubtedly return again sometime. Their favorite part of the experience was the historic train ride, and according to them the worst part of the experience was "leaving the museum." As a parent, I'd give it 3.5/5 stars, and I recommend it to any train or history enthusiast. 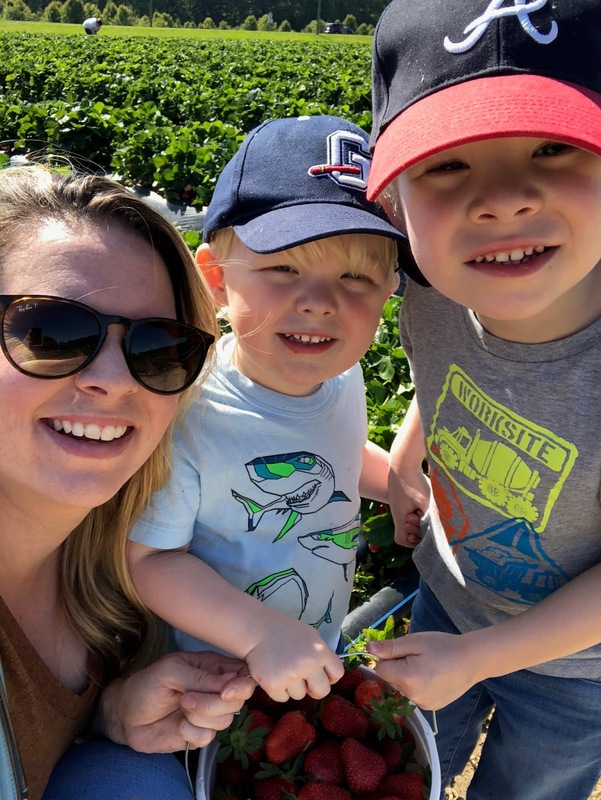 If you're looking for some other fun places to visit in Atlanta this summer, check out our review of the Georgia Aquarium and Jaemor Farms. What are some of your favorite kid-friendly, summertime destinations? 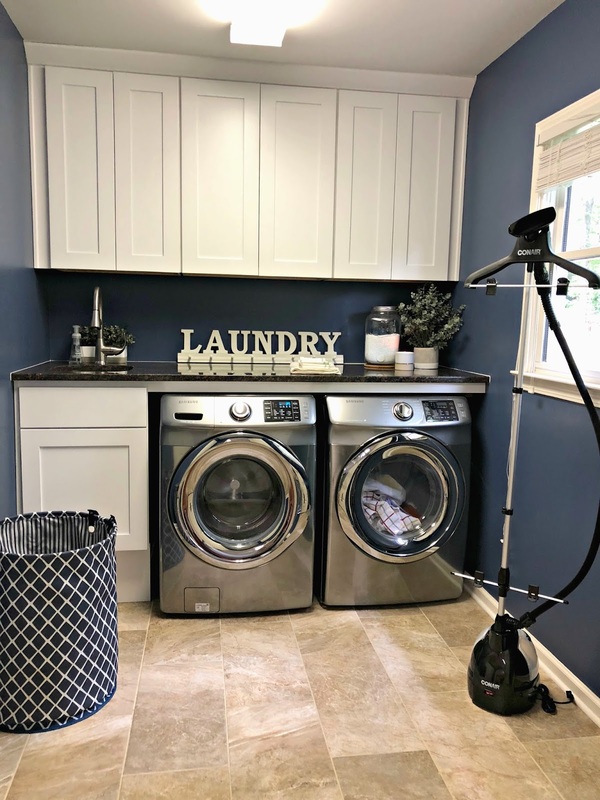 Disclosure: I received the Conair Steamer from Wikibuy in exchange for featuring it in this Laundry Room Reno Reveal. All opinions and ideas expressed on this blog are my own. Have you ever had a project which seemed to last forever, or at least much longer than it should? Well, that's how I feel about our recent laundry room renovation. For years I've been dreaming and planning and choosing each little detail, to create a functional space for the entire family. I had a vision of myself in a beautiful, open area with Frank Sinatra's voice floating through the air while I joyfully folded load after load of laundry. And while I don't fold with unrequited joy, I am proud to say the space where I do my folding, and my frame of mind regarding laundry has changed. When we moved into our home, some six years ago, the laundry room, or maybe more appropriately called, the mudroom, was a small but separate space linking our garage to the kitchen. A set of cabinets seemed to aimlessly float on one wall opposite a window, while the washer and dryer sat unassumingly on a worn linoleum floor. The space was screaming for a makeover. After days worth of research, meetings with contractors, Pinterest boards and blog posts full of inspiration, and discussions with family and friends, I came up with a wish list. I'm thrilled with the final results. 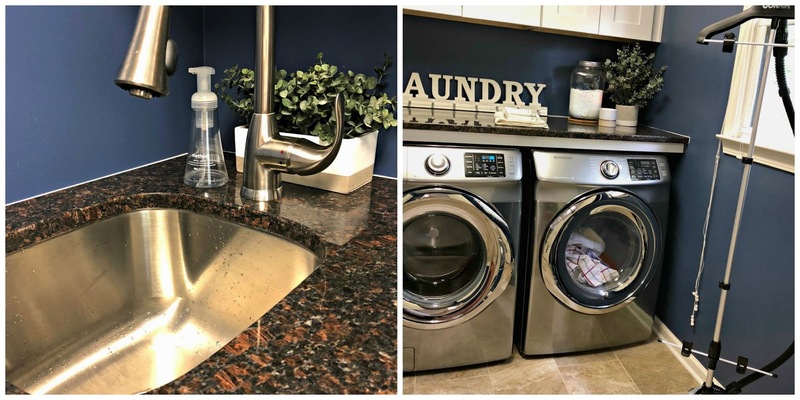 The colors play well with one another without competing for attention, and the room is a separate space but a great compliment to the look of our kitchen. The addition of the sink has already been infinitely beneficially since spring thunderstorms seem to produce soaking wet, muddy little boys. I also appreciate the extra storage the cabinets offer, and the countertop space is a stable platform for crafting, laundry, or other shenanigans, like a birthday cake display. 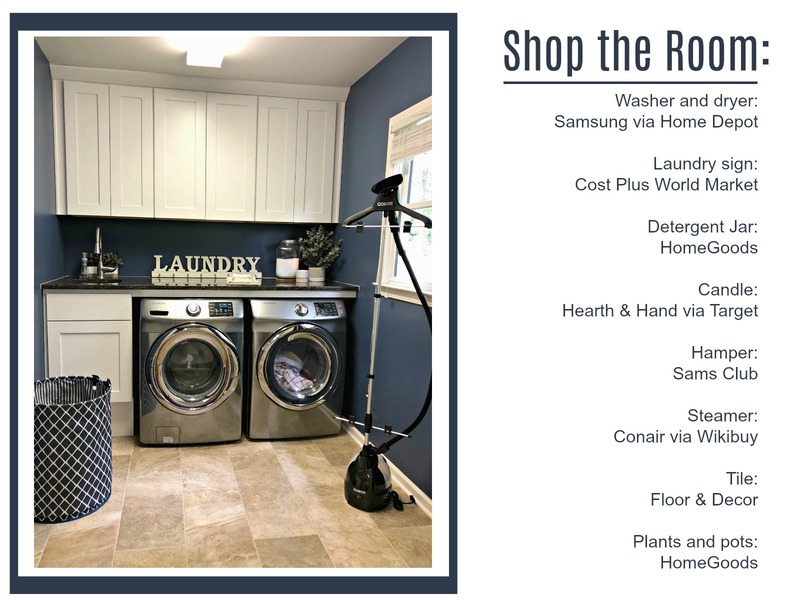 We've added new front loader Samsung washer and dryers, as well as a new Conair steamer to make sure our clothes are in crisp condition for date nights or work meetings. 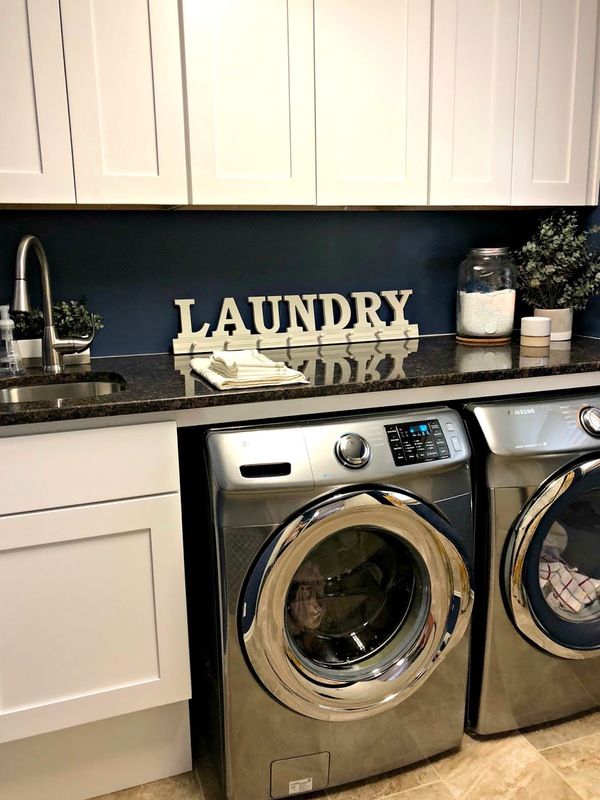 But honestly, it's the details that I enjoy the most; the oversized mason jar which holds all the laundry detergent and the geographic hamper which provides us with an easy place to toss stray socks, dirty towels, or just rouge clutter which needs an extra rinse cycle. How do you like the final results? What are some of your favorite details? Now onto the next project, which I think will be our guest bedroom. If you're interested in checking out some of our other home renovation projects, you'll find the guest bathroom renovation here and the nursery renovation here. Disclosure: Some of the links in this post, Why I'm Not Trying to be Successful Anymore, are affiliate links, and I will receive a small commission if you click on one of those links and make a purchase, but this at no cost to you and all opinions are my own. I remember visiting a friend at her parent's home while I was in college. They had a stunning house by any measure, and we often would gather there in large groups because there was plenty of room to comfortably accommodate a lot of people. The house itself was impeccably decorated and was large and impressive in scale. It was safely nestled behind secure gates, and it sat on a recognizable, world-class golf course. It was easy to see my friend's parents had been financially successful and their home was a reflection of a lifetime worth of hard work and sacrifice. I also need to say that in my experience, they were some of the most generous, kind-hearted, and down-to-earth people I'd ever met and their daughter, my friend, clearly reflected those same ideals in her own life. During my senior year in college, I spent quite a bit of time at their house, but there was one thing which always caught my eye. I associated that thing with success, and for years I remember thinking, "if only I had that particular item in my house someday, it would mean that I too would be considered successful." You might be surprised and curious to know what the thing was. It was small, and for many inconsequential, but to me, it carried great significance. It was the Williams-Sonoma soap and lotion caddy. Just two cute products with classy packaging sitting in small wire basket next to their kitchen faucet. To me, I equated this little piece of decor to mean its keeper had been successful in life. 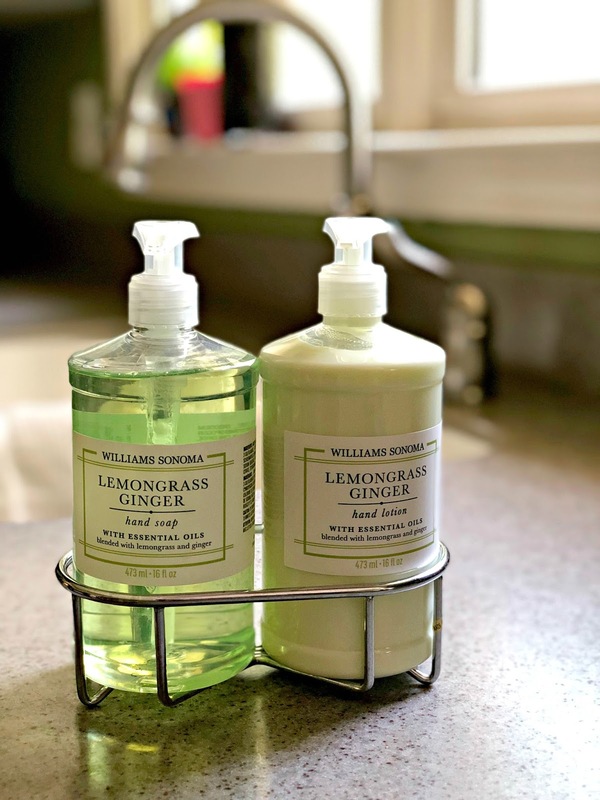 It seems silly I know, but at the time it was an extravagance I couldn't afford, and therefore, I thought, if only I too had a kitchen soap and lotion caddy one day, I would be able to look at my life's work with satisfaction and personal approval. Add ten or more years, a marriage, some kids, and several jobs, and boy has my perspective on success changed. 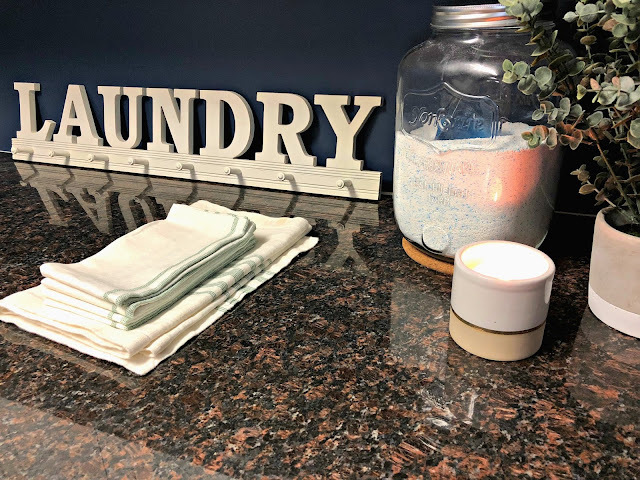 I've gone through many different phases; equating success to physical things, like the kitchen caddy, overcoming obstacles, like a move, or reaching a stage of life, like marriage or motherhood. 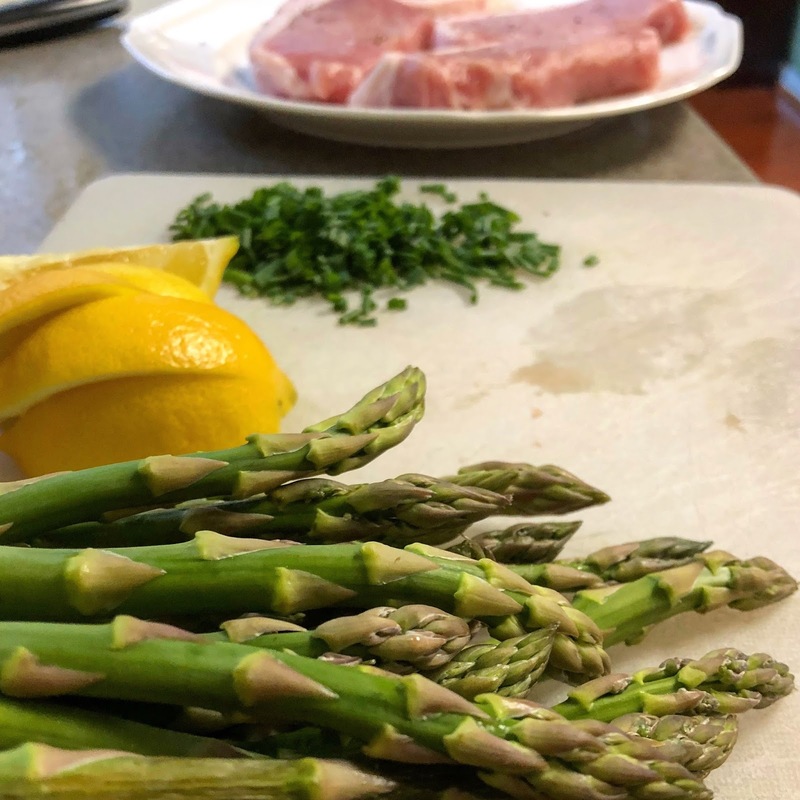 There have been times when success meant I had a certain amount in my bank account or the ability to buy a steak dinner at a fancy restaurant without sacrificing and preparing for weeks in advance. Before college, I measured success by the number of Gelly Roll colored pens in my pencil pouch or the new pair of jeans I wore in my school picture. I might have put a significant amount of importance on how many miles I could run in less than 20 minutes or the marks I received on a report card. Later on, it was all about how many emails and client calls I could weed through before conquering rush hour and preparing a home-cooked dinner for my family. And more recently, I counted the number of loads of laundry I could fold while functioning on the fewest hours of sleep. Society was telling me to work for success. To strive to parent successfully, to be successful at the office through a coordinated series of promotions, to be financially successful, and to have a successful marriage. I came to believe success was the ultimate achievement. And striving to achieve those successes left me exhausted, and not just from the lack of sleep which is customary with early motherhood. I came to a turning point, and I needed to take a step back and look at the areas in my life where I placed value and self-worth. Measuring success by Gelly Rolls is lightyears different than laundry loads. How was I supposed to achieve success if the definition is ever-changing? Success isn't obtainable in the long-term, and it shouldn't be tied to my self-worth. I need to stop using success as a metric for measuring happiness. Achieving each step toward what I defined as success and summiting the temporary mountain proved to bring fleeting joy because, at some point, the goal or the measure of success changed and I needed to climb higher or come to terms with descending the cliff. I realized trying to achieve success is like aiming at a moving target. Even if you do hit the mark, it moves on to its next position to challenge you. The job is never done. The second I was close to my temporary definition of success, the foundation shook, and a new standard was established. It is impossible to achieve, and yet, I couldn't seem to stop chasing it. Take the jeans as an example. If all the girls in your class are wearing a particular pair of jeans, it's natural to feel the pressure to fall in line with the trend. Once you obtain those jeans, however, your sights are set on the next bigger and better item. Gaining this level of success is essentially instant gratification. It will only sustain you for a short time before your sights are set on something else, and once again you are chasing the satisfaction of success. I was stuck in a rotating hamster wheel. I was working hard to catch the prize but going nowhere fast. There is one distinction I want to make here; there is a difference between goals and success. Goals are motivating, they drive us to improve personally and professionally. Goals give us measurable results, and they are ever-changing. Success is a metric many equate to happiness, and it is abstract. When I worked to be successful I was running an unwinnable race and my opponent was some superficial benchmark I set for myself. 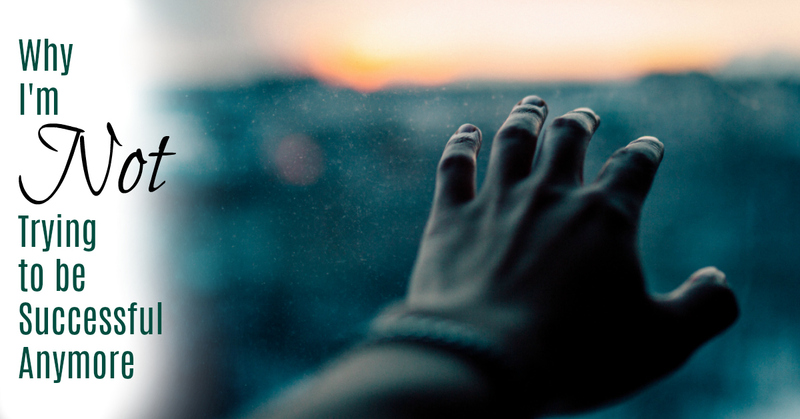 I learned I was exhausting myself for something, which in the long-term, is unattainable. Furthermore, I let these abstract benchmarks define my self-worth. I told myself I wasn't successful during the day if I was only able to answer half of the emails in my inbox. I told myself I was the opposite of successful; I was a failure. Had I worked my hardest? Yes, but my hardest wasn't good enough, and my self-esteem suffered because I had erected such rigid measurements which I could not obtain. I never equated success to the journey. So the lessons and positive attributions I should have garnered along the way to reaching my so-called successes were lost in my oversight and hyper-focus to achieve. It wasn't about what I did to get to the finish line; it was only about breaking through the tape. The end result was all that was important. So I stand at this crossroads which seems to defy everything I've been trained to embrace. I hear this little voice in my ear telling me to stop trying to be successful because it's distracting me from what's important. The idea of success is so abstract it leaves me chasing after a superficial and fleeting objective while I'm simultaneously placing too much of my self-worth in its allusive embrace. I will continue to set goals, continue to chase dreams, continue to better myself from the inside out, but I will no longer define myself by my so-called successes. I resolve not to measure my self-worth based on a bank account, a weight on the scale, a homecooked meal, a load of laundry, or a soap and lotion kitchen caddy. What is the metric you use to define your happiness? 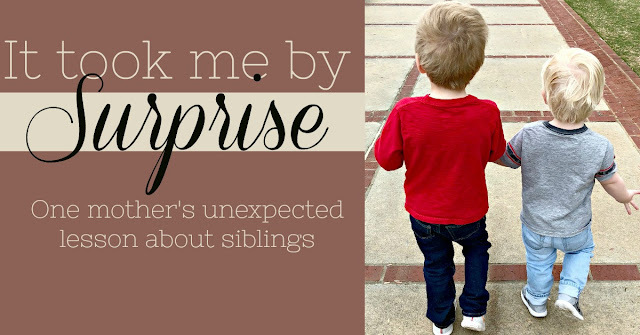 When my husband and I decided to have another child, I envisioned moments of sibling love. When the kids would play on the floor together with cherub-like smiles and laughter that carried from one edge of the house to another. A little more than two-and-a-half years later, I’ve learned those Norman-Rockwell moments are few and far between. More often than not, when my children do actually play together, it turns into some rendition of StarWars or Power Rangers, and anything worth swinging becomes a lightsaber or sword. Instantly, my once comfortable couch transforms into a springboard of propulsion to help them skyrocket through the galaxy (aka a trampoline). But sometimes through the noise and inevitable destruction, which is bound to ensue when they find themselves in the same room, there is a glimpse. A small glimpse mind you, but a glimpse nonetheless; of two brothers playing in harmony with the uninhibited imagination found only in young children. They build Lego cities where dinosaurs roam, and army men rule. They construct winding trains with tracks going from one room to the next. They sit and play their Kindles next to one another snuggled on a couch sharing one cozy blanket between the two of them. Their handmade pillow forts quickly transform into a rocket ship and then into a playhouse, and then a city bus or firetruck. These moments melt my heart, and I cherish them dearly, but as they become more frequent, I've noticed another change. Now I don't want to overexaggerate here, my children are still young, and they need me for many things - laundry, food, boo boo kisses, bedtime stories, and the list goes on - but they do not need me to play. They do just fine on their own, without the outside influence of closeminded adult imaginations; they do fine without me. I was watching them play together outside the other day, and it hit me, I never expected that adding more people to our family would create a void for me. I had always imagined the sheer size of an expanding family would lend itself to a feeling of total inclusiveness, and most of the time it does, but it also fosters an environment for imaginations and personalities to flourish independent of the other people in the family unit. I had assumed my boys would play together, but I thought I would be a part of it. The truth is, I just complicate things most of the time. I've discovered a small sense of newfound loneliness, but it is as fleeting as a gust of wind when I realize it comes from the very thing I desired for them - they find enjoyment in the company of their sibling. They do occasionally ask me to make a cameo appearance during their playtime charades, that is until they banished me to the land of the bad guys, but for the most part, they play with me. Now my evolving role is to sit back, break up the sword fights, encourage them to play together, and acknowledge their progress and accomplishments. This is just one of the innumerable steps required to let them grow up and transition into young boys, then young men, and then men of character, but I want to acknowledge it because it took me by surprise. I'm sure this is something all parents experience at one point or another; a stage of their child's life passing, seemingly large or even insignificant, so quickly or unexpectedly it seems to happen overnight. One moment they are tiny little beings which rely on you for every conceivable need and the next they are standing with a set of car keys ready to sit behind the wheel of a vehicle. The reality can be quite shocking if you aren't aware it's happening. I realize as a mom there will be many more opportunities for me to be shocked by the unexpected realization my kids are growing up and the arms of the clock pass much more quickly than I desire. Heck, they aren't even in kindergarten yet, so there is a long road in front of me full of surprises with unforeseen twists and turns. I'm looking forward to navigating the changes and watching how we all weather each stage of childhood, even knowing that my motherly role will change just as rapidly as they do. I need to learn and accept, that as my everyday role as a playmate and parent may change, but my priorities to lovingly guide my children through life via my words and persistent example do not. Parenting a two-year-old may look vastly different than traversing the terrain of preteens (I guess I'll learn that soon enough) and while my participation may not be wanted at times, the fact that I observe and influence during times of peril and praise in moments of triumph should be unwavering. It just amazed me, that at such young ages, this lesson has already presented become obvious, maybe it's just God's way of preparing me for what's ahead. If you have more than one child was there one particular change which has come as a surprise to you in your parenting journey? Please share in the comments below so we can learn from your experience. Disclosure: Some of the links in this a Bit More Than Basic Salmon Recipe post are affiliate links and I will receive a small commission if you click on one of those links and make a purchase. We still have a couple weeks left of Lent, and if you are in search of a great, family-friendly fish recipe than look no further. This, A Bit More Than Basic Salmon Recipe is a healthy and delicious twist on basic oven baked salmon. It requires less than 10 minutes of prep, and then you put it in the oven and walk away. It's a satisfying weeknight meal any time of year. 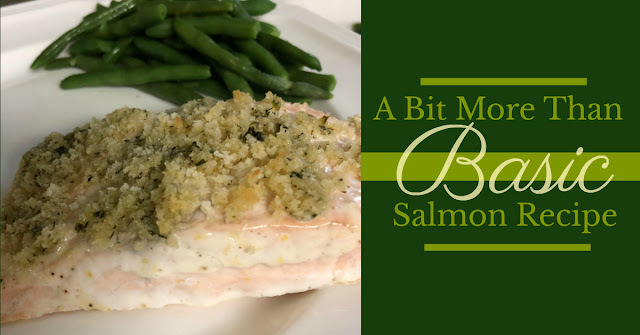 Utilizing classic flavors, this salmon recipe can also serve as an adventurous transition for kids looking to move from fish sticks to fish filets. My little ones, who love fried fish, both ate this after a little coercing. They also quickly discovered how yummy salmon can be if you dress it up right and don't overcook it. For some picky eaters, fish can be a tricky meal, but this light take on a timeless recipe offers an easy to prepare and palatable first step into seafood. Pro Tip: You know salmon is overcooked if it smells fishy. Preheat the oven to 375 degrees and line a baking sheet with aluminum foil. Even space the salmon filets on the baking sheet. In a small bowl mix the panko bread crumbs and butter with a fork, then set aside. In a separate bowl whisk together the lemon zest, lemon juice, mayonnaise, and pepper. Reserve 2 TBS of the sauce mixture, then brush the remaining sauce evenly onto the salmon filets. Gently press the butter and bread crumbs evenly onto the salmon, so it forms an even crust. Bake the fish for 15-20 minutes or until fish is fully cooked (145 degrees). Before serving, drizzle the fish with the reserved sauce mixture. If you are looking for some other tasty, family-friendly recipes, then you'll definitely want to look here. Do your children eat fish and if so what are some of your favorite transitional recipes for kids? I was in no way sponsored or asked to write this Hello Fresh Review. 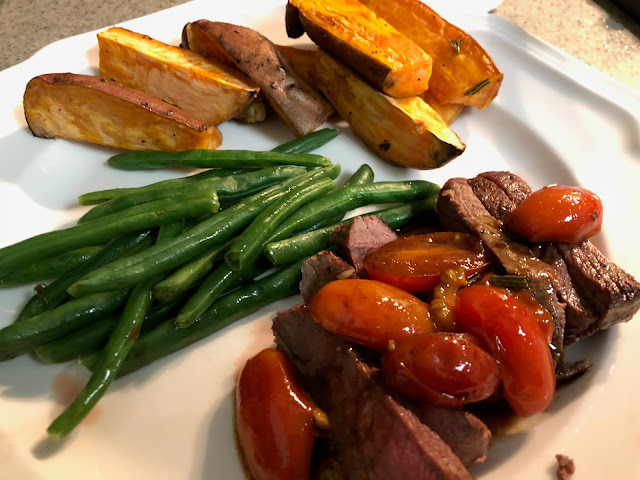 I just believe there are a lot of misconceptions about meal and recipe delivery services and I wanted to give an honest review of my experience with this service provider. I hardly notice the ads which run along the flanks of my Facebook page or the ones draped over the top of almost every news article and blog post. They are so commonplace I, like most computer-obsessed Americans, no longer click through based on the promise of 40% off or a free widget with purchase. But I have noticed a trend when I go down the rabbit hole known as the interweb; there are more than a couple grocery and meal home delivery services, and they are all targeting me with their internet advertising. 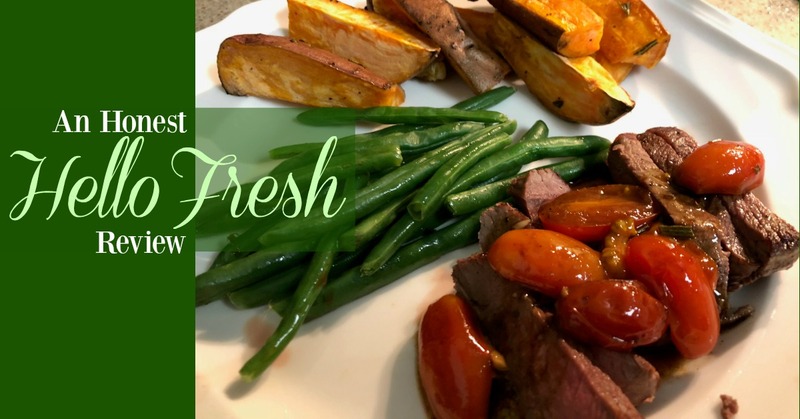 I've had friends and neighbors mention these meal delivery services to me, but I shied away, afraid that if I fell into the habit of having my meals left at my doorstep, I would somehow be jeopardizing my love of creating regular, fresh homemade meals. I had some preconceived and unsubstantiated notion that all of these services were cookie cutter versions of off-the-shelf suburban meals which lacked soul and substance. I was wrong in many regards. 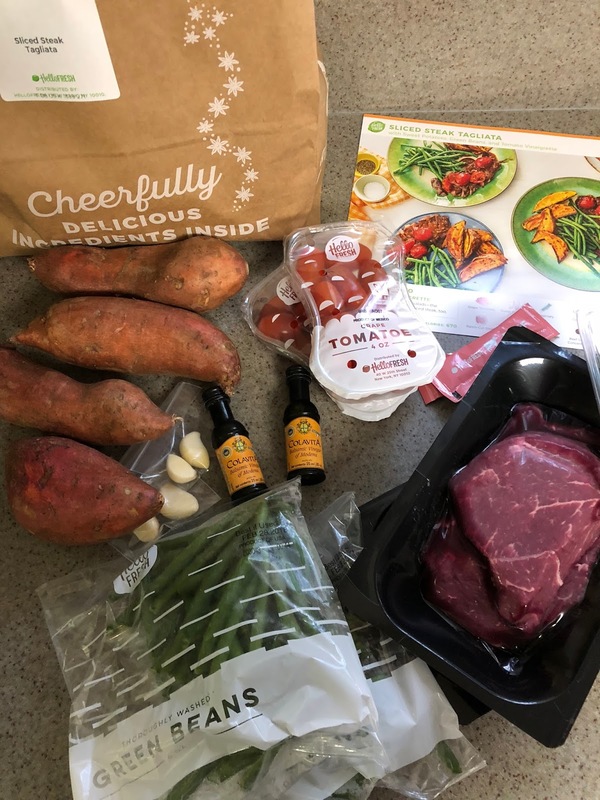 I recently took a chance and tried Hello Fresh, and for the most part, I was pleasantly surprised. 1. You pick your plan and your weekly quantity. There are three different options - Classic Plan, Veggie Plan, and Family Plan. We chose the Family Plan and opted to receive 2 meals each week, each portioned for 4 people. Since I have two little ones, we have a healthy amount of leftovers with each meal. Each time the leftover dinner heated up nicely for day two. 2. Choose your meals. Each week there are five different meals from which you can choose. You merely go to hellofresh.com, sign into your account, and make your selections. When you are looking through the options, you can read through the recipe and instructions. There is also a list of all the required instruments and any additional materials you might need for each recipe. I have an extensive pantry and spice cabinet, which I can tap into when necessary, but you will likely need salt, pepper, olive oil, sugar, and butter for any given recipe. Also, you can choose to "Skip the Week" for any reason. I really like this feature since I have a family of picky eaters and it can be challenging to find two out of five meals which work for all four of us. 3. Wait for your groceries. After you place your order, you just sit back and relax, especially since you are saving yourself time at the grocery store. You might just have half a second more to do that certain something you've put off for the last couple months, or not, no one is judging you. 4. The delivery. When your Hello Fresh box arrives, it will be packaged in a brown box and clearly marked. Inside there is plenty of insulation to ensure your food is fresh upon delivery. The meals are wrapped individually in brown paper bags, and all the meat for the meals are located underneath the brown bags, sandwiched between two big frozen insulated liners. 5. Move the food to the fridge. Make sure you properly store your meals and ingredients. I move all the bags and meat to the refrigerator until I'm ready to prepare them for dinner. 6. Make dinner. Once you're ready to cook, you'll want to locate the 11 x 8.5" recipe card which corresponds to the night's desired meal. The recipe cards include clear written instructions paired with step-by-step images to help guide you through the cooking process. 7. Serve dinner and enjoy. Once you've assembled the meal according to the instructions and plated it, sit down and enjoy a well-balanced, homecooked meal. As I mentioned my family is comprised of picky eaters and this allows us to try new recipes, which might not otherwise be on our radar. The meals are well balanced, with correctly portioned proteins and lots of fresh veggies. The recipes are easy to follow, and you can save the recipe cards so you can recreate the meal in the future. You can review the entire recipe ahead of time, and you can make the recipes without having them delivered. 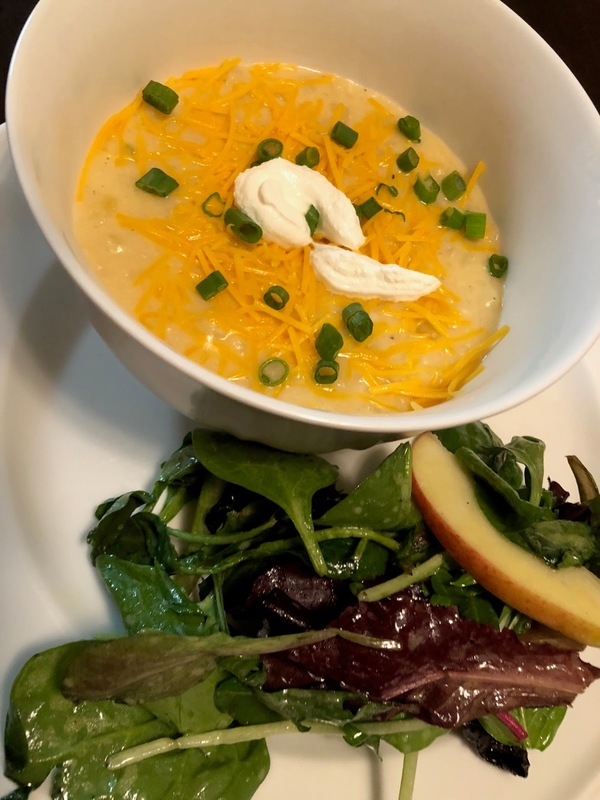 If you really want to try three or four of the five meals, you'll need to do some of the grocery shopping, but the recipe is available to you to prepare it at home. While the ingredients are provided, you are still cooking each meal yourself. It really doesn't take away from the feeling of proving your family with a healthy, home-cooked meal. You can look at the available menu options for the next month if you are a super planner. I've been a little suspect about the freshness of some of the ingredients. 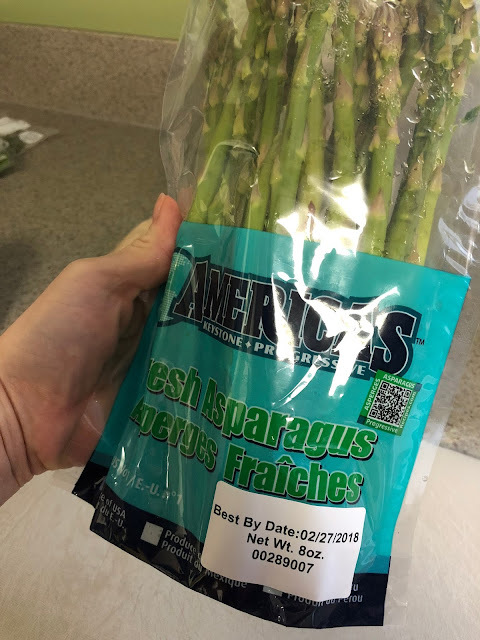 For example, one of the recipes included asparagus, and on the outside of the package, it said, "Best By" and listed the day the Hello Fresh box was delivered. Typically I do not plan on cooking the meals the day of delivery since I don't know what time the box will arrive. I was surprised they didn't choose to send produce which was best by a date later in the week to ensure freshness. I also once received chicken which smelled a bit. There are a lot of potatoes. I grew up in a potato-loving home. We had some version of potato with most of our meals, but when it comes to a meal delivery service, I would except a little more diversity. I want to caveat this and make sure you know there are different types of potatoes, sweet and Yukon, and they are prepared differently from recipe to recipe. I wish there were some more recipes with pasta, rice, quinoa, barley, or some other starchy options besides just potatoes. One of my meals required eggs, and one of the two eggs was cracked when I received it. As I noted above, I have most of the ingredients on hand, so I just grabbed an egg from the refrigerator, but it did run onto some of the other package ingredients. I'd like to see some fish options for the family meal plan, especially since it's Lent and many families do not eat meat on Fridays during this time. We don't have as many scheduled leftover nights. I thought the food was delivered prechopped and ready to cook, that's not the case. You still need to prep your ingredients. Some of the components come premeasured in their packaging but not all of them. These meal options really do not cut down on time spent in the kitchen. There are multiple steps, and each recipe that I've made takes about 45 minutes of combined prep and cooking time. I cook a lot, and I like to experiment with different flavors and techniques. I've actually learned a couple things from following the recipes, and I honestly didn't expect to learn anything new. Overall, I'm happy with our experience with Hello Fresh, and I am going to continue to have meals delivered in the foreseeable future. I doubt I'll keep it up long term but for the next couple months its fun to stretch my family outside of their comfort zone and learn a couple new recipes. Have you ever tried Hello Fresh or any of the other home meal delivery options? If so, I'd love to know your thoughts and recommendations.